100 years ago, on the 16 of August eight men gathered in Russe in order to lay the foundations of the Bulgarian cycling union. They could have hardly known that a century later their organization will continue to exist. But one thing is sure – they were decisive and perceptive enough to create a sports union at a time when the word “sports” was almost an unknown notion. No one talked about football yet, the track-and-field athletics was unknown, the basketball and the volleyball still waited to be born somewhere in the future. Only the gymnasts from “Yunak” had already their strict organization whose leadership in the history of Bulgarian sport can not be argued. The creation of BCU did not happen on its own. Thirteen years before the citizens of Sofia established a “cycling union”. Russe, Plovdiv, Pazardzik, Pleven, Kyustendil, Sliven, Varna followed. The first steps of the Bulgarian cycling union are stable from the very beginning. In 1909 the Vitosha cycling tour started. No other sports competition in Bulgaria can compare to that 93-year-old miracle. The Vitosha tour was the only event in Bulgarian sports history published in the French sports encyclopedia. And there is a reason – there exist very few cycling competitions before and after the Vitosha tour that can compare to it. As strange as it might sound, in this respect we overtake the whole Europe. We can be proud of the fact that, when tour of Bulgaria started in 1924, only the famous Tour de France (1903), the tour of Belgium (190B) and Giro d’Italia (1909) were behind us. 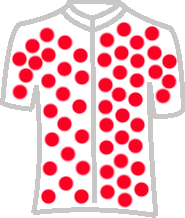 (For information: Switzerland carried out its first competition 9 years after Bulgaria, the famous Spanish Vuelta – 11 years). The extraordinarily strong organization created by the BCU and backed by thousands of admirers provoked an explosive spread of this male sport. In 1905 the unions (today called clubs) counted 27 and on the Balkan war’s eve they were already 74. In the 1930s they ran to 170.